Looking to add a little holiday to your breakfast? 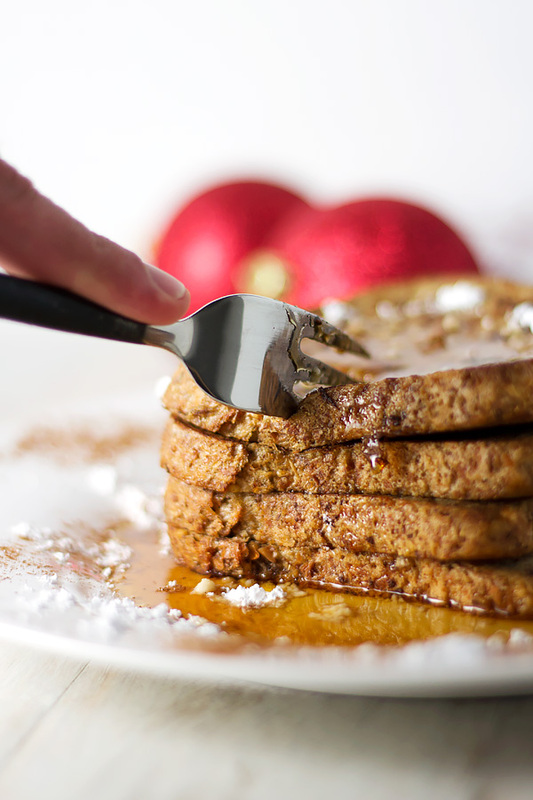 This healthy Gingerbread French Toast recipe is perfect! It’s sweet, crispy and bursting with fall flavors! ‘Tis the season, friends! And I’m really digging gingerbread everything right now! I just bought some of these adorable gingerbread men cookie cutters and cannot wait for them to come in so that I can make ALL THE GINGERBREAD COOKIES. Gingerbread has ginger in it. Therefore it’s healthy, right? No but for real, this recipe is actually healthy. Ginger is a natural anti-inflammatory that can help reduce pain, nausea, and prevent diseases. Opposite of what I’ve chosen to believe, gingerbread itself is not an actual flavor or seasoning. It’s a combination of spices that we’ve come to know as “gingerbread”. But I’m going to keep believing that it is, and I will go forth and spread gingerbread into all of the world. Especially but not limited to desserts and breakfast. In all seriousness, this recipe is sooooo amazing. Cody and I ate this for dessert after dinner one night and savored EVERY BITE. We didn’t even have to use that much syrup because each bite is full of melt-in-your mouth Christmas goodness! You might actually need to double this recipe, now that I think about it. 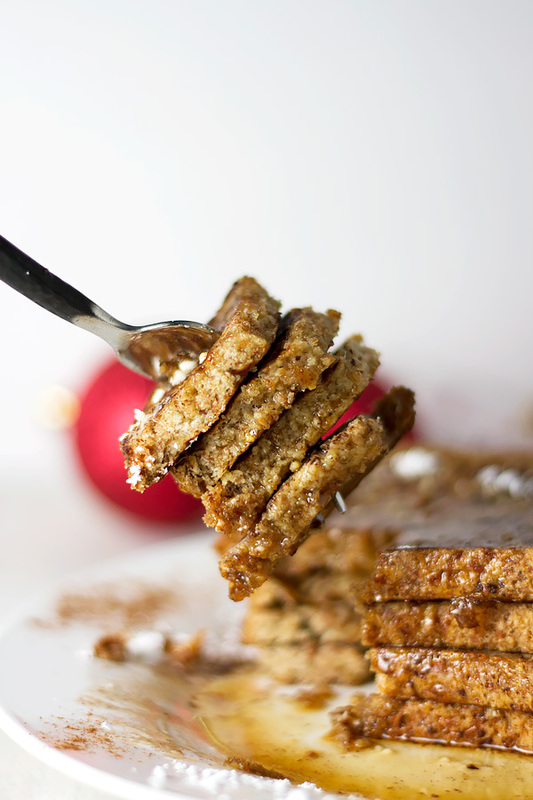 This gingerbread french toast is SERIOUS stuff, ya’ll. These flavors are so cozy and warming and let’s face it could make anything taste delicious. All you need to do is mix them together with the other ingredients including sugar, eggs and maple syrup and soak your bread into the mixture before frying. 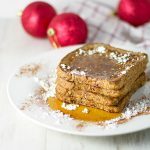 You can pretty much top this french toast with whatever you want but here are some idea depending on whether you have it for breakfast or dessert. 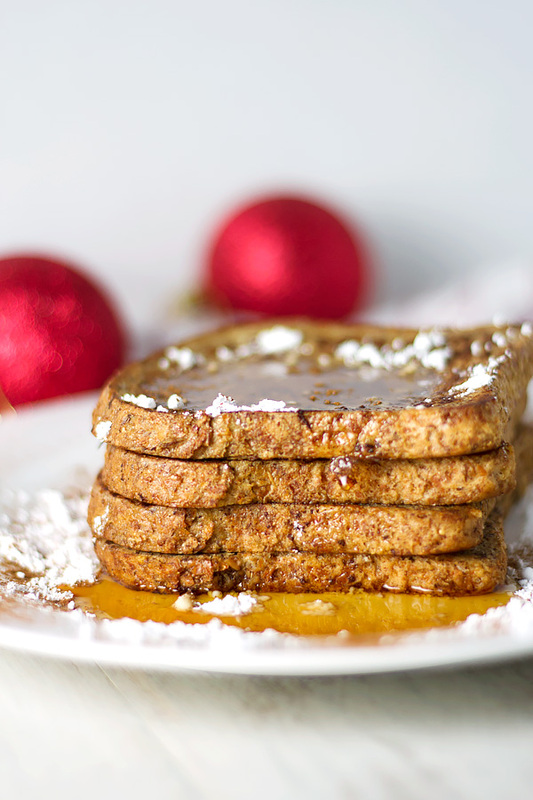 Looking to add a little holiday to your breakfast? 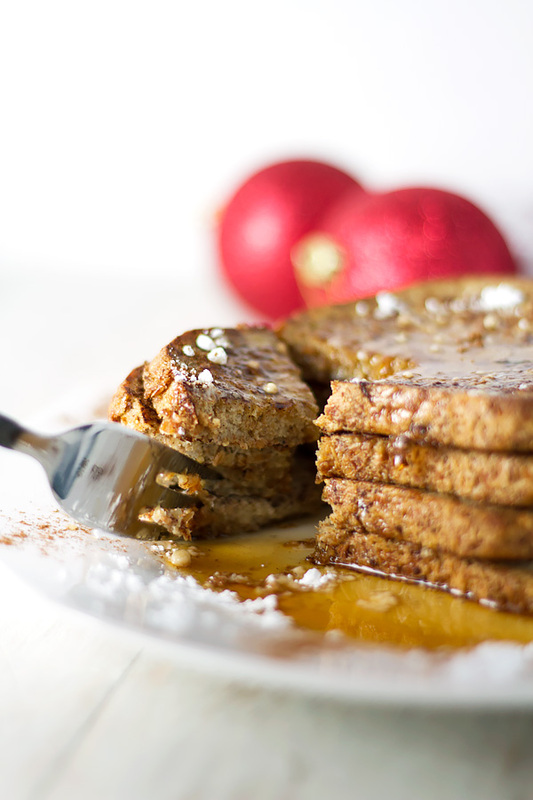 This healthy Gingerbread French Toast recipe is perfect! It's sweet, crispy and bursting with fall flavors! Whisk all of the ingredients together except for the Ezekiel Bread. Cover each side of the bread with the liquid mixture, then cook each side in a skillet (with a little bit of coconut oil) for about 1 minute (or until the mixture is cooked and lightly browned). Top with syrup, fruit, or anything you want! Gingerbread is the best holiday flavor, love this idea! Hahaha, that’s an awesome problem to have, Pamela! Thanks for pinning, hope you enjoy the recipe! I’m in a gingerbread state of mind. As a matter of fact, my kitchen is currently swirling with this sweet smell as I whip up my gingerbread cookies. 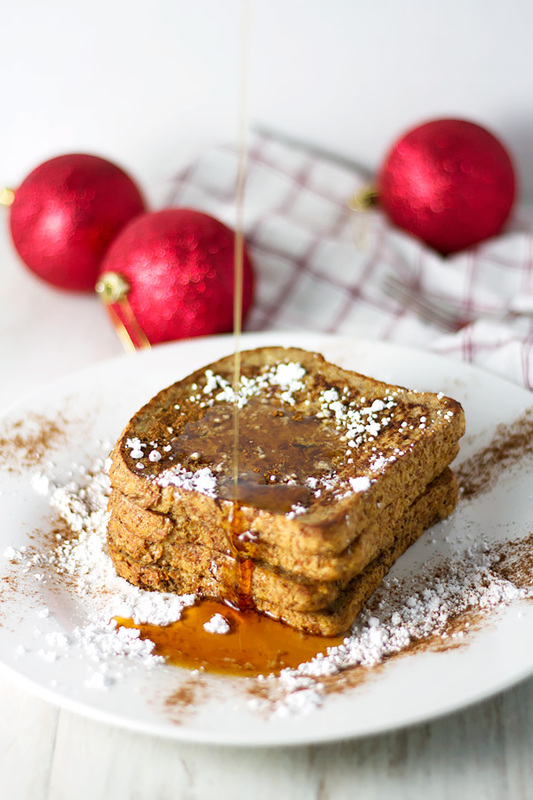 Then this shows up so I know what will be making its appearance on my brekky table tomorrow – this divine gingerbread french toast (it’s been far too long since my last french toast breakfast). Can’t wait!